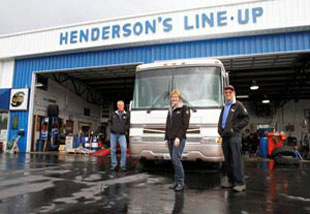 About Us - Henderson's Line-Up Brake & RV Inc.
Henderson’s Line-Up is a family-owned auto service center that specializes in handling, suspension, steering and braking in RVs, trucks, passenger cars and commercial vehicles. But we’re also a solutions center that offers a variety of products designed to address specific problems. Steering column parts, truck suspension kits, motorhome shocks and car towing equipment are a sample of what we work with. Our ASE-certified technicians utilize state-of-the-art equipment to produce the best result possible, and we’ve even got many specialized tools that ‘ordinary’ shops just don’t have. 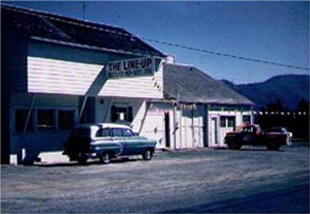 Come and see for yourself why Henderson’s Line-Up has earned a loyal following not just in Grants Pass or the west coast, but across the nation.